Keep projects moving forward with Hubstaff. Architects and engineers can focus more on their clients when they have the right processes in place. 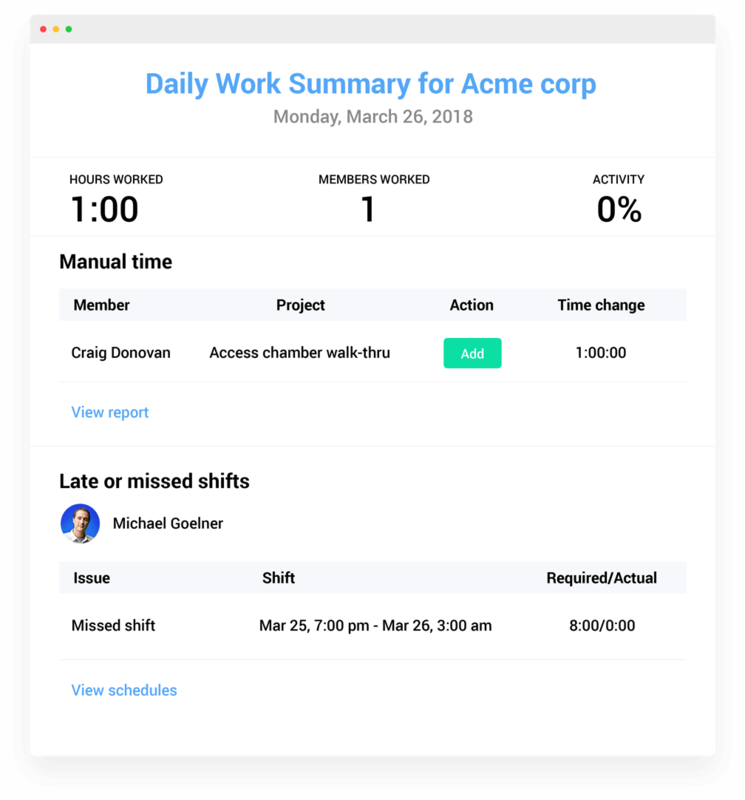 Hubstaff’s timekeeping software makes tracking billable hours and expenses painless, so there’s one less thing to worry about. 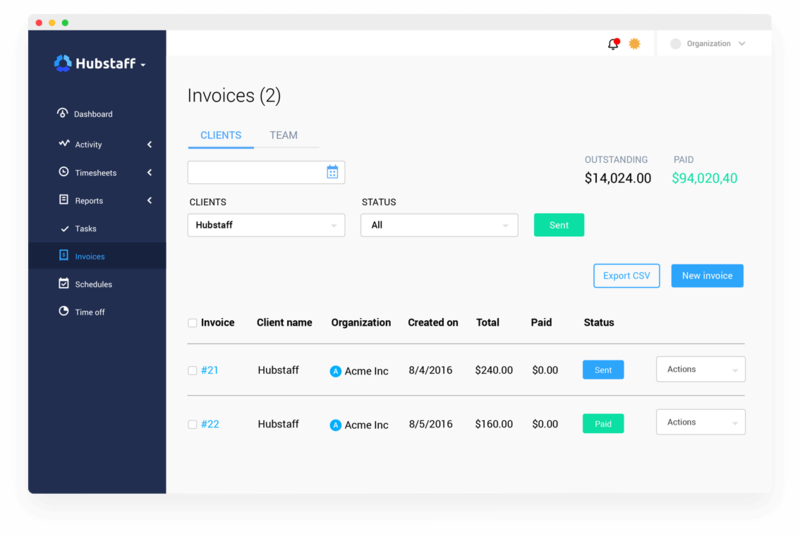 Track time, export timesheets, or pay directly through Hubstaff using one of our seamless payment integrations. Pay your architects and engineers, and then get to the next phase with Hubstaff. 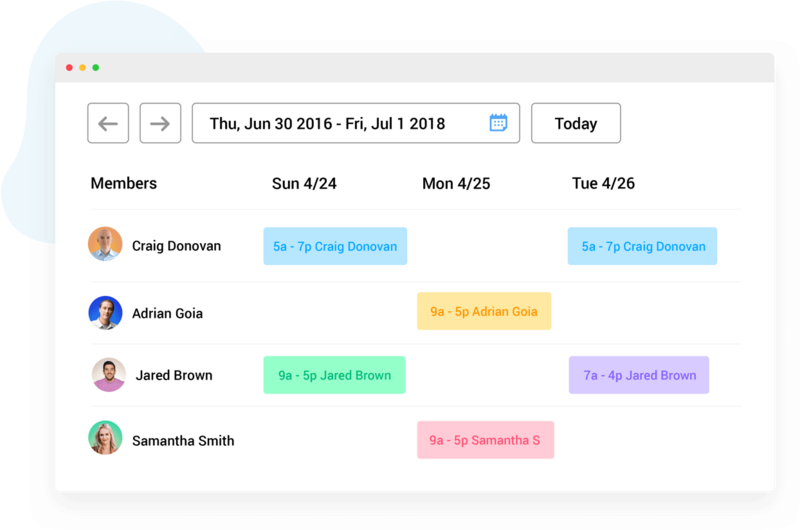 Hubstaff makes it easy to reduce costs and confidently manage teams, projects, and clients. Use tracked time to generate invoices, then send to clients, and record payments. Better estimate architecture and engineering projects with Hubstaff’s robust reporting feature. 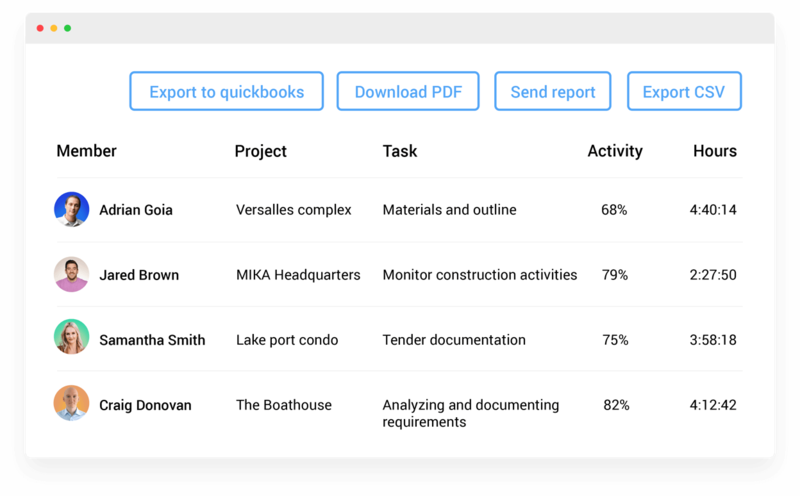 Dive into everything from productivity and hours to budgets and invoices in one simple reports dashboard. Your blueprint for more profitable projects. Meet deadlines and exceed client expectations with Hubstaff time tracking. Set hours or project limits for clients and projects to help with workforce management. Integrate with over 30 bookkeeping, project management, and payroll apps. It’s easy to add or check in on hours anytime, anywhere. A simple, easy way to get paid and make payments. Your clients will thank you. One place to track all time and expenses. Review, approve or deny each timesheet before sending payments. "What I like most about this software is the quick support from the staff and the speed of the program." Let’s get a call on the books. Find out how Hubstaff can save your business time and money.